This is a very safe and comfortable gift idea. 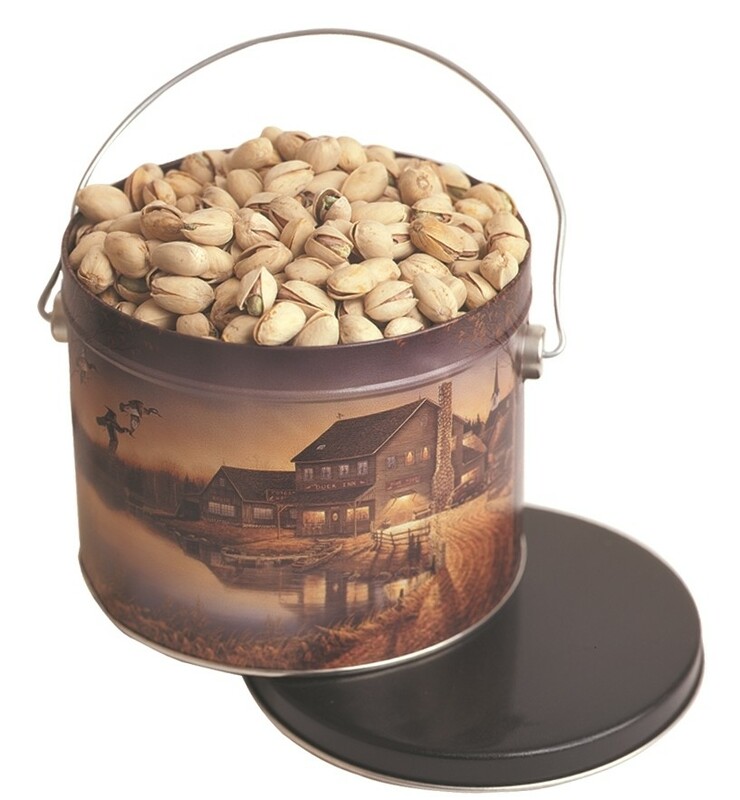 It will be sent in a very lithographed pail - filled with over 4 pounds of the finest Kerman pistachios available! The pistachio is a gift that was given to kings in olden days. Caravans with livestock herders passed through Turkey, Iraq, and Iran on these ancient routes. In the evenings they collected the wild grown pistachios on shrubs found on the dryer hillsides along these Middle East routes. They then used them to barter. In more modern times the crop has been planted in California and now makes up the majority of the available pistachios worldwide. It has only been a cultivated crop since about 1982. These pistachios are gently roasted and salted. They have become extremely popular and a wonderful snack food. 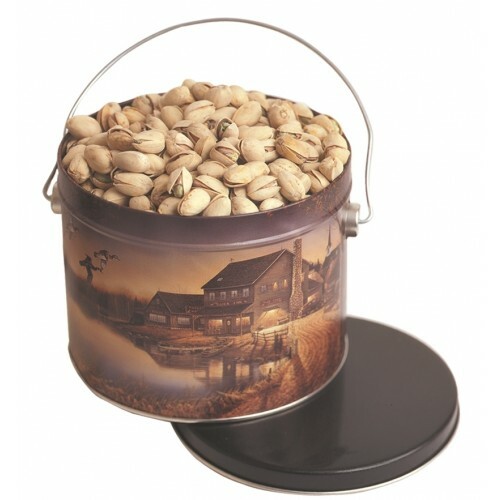 And the pail is also very decorative and can be kept for years as a momento of the gift that has long ago been eaten.